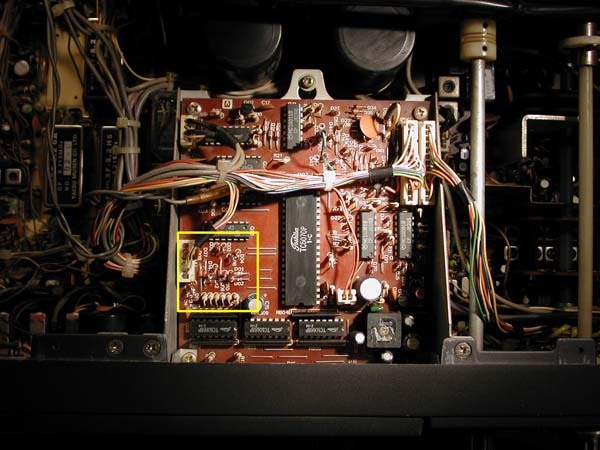 Here is an easy modification for those Yaesu FT-102 owners that have an AM filter installed. Unless I have worked on your radio the enunciator (located to the left of the digits in the display) will say AM-N when you switch to AM even if the AM filter is installed. Yaesu apparently forgot to put the switching network and circuitry into the radio to change the letters to AM-W or AM wide. This modification should take you 10 minutes to do. Take off only the upper case and place it aside. Locate the display board in the middle front of the radio. It is not necessary to remove the board from the radio but have it turned off. 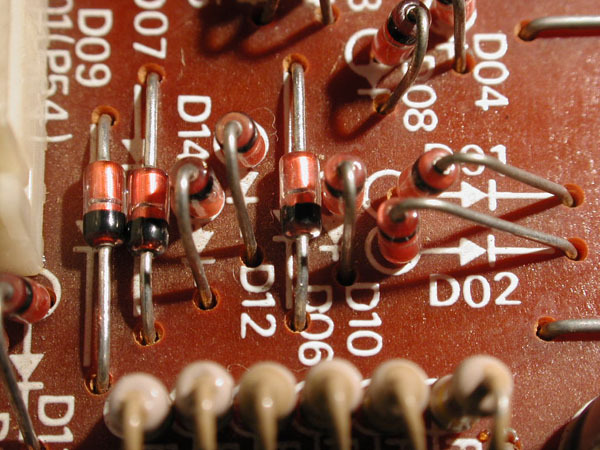 As the radio faces you find diode 14 on the front left of the display board (see photos). The marking will be directly in back of diode 14. 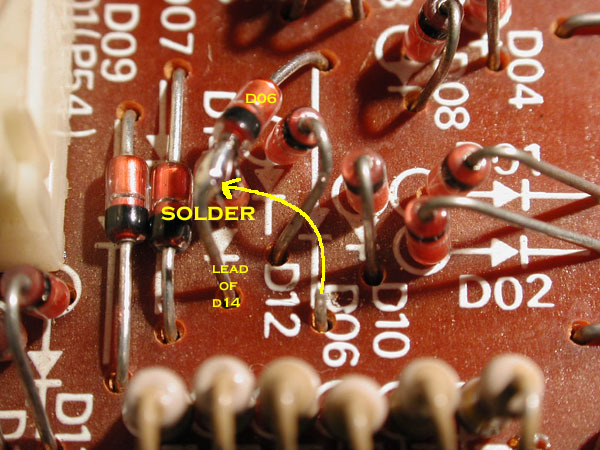 This diode is mounted in a semiverticle position and you will be soldering the cathode of a second diode to the highest point on this (D14) lead. 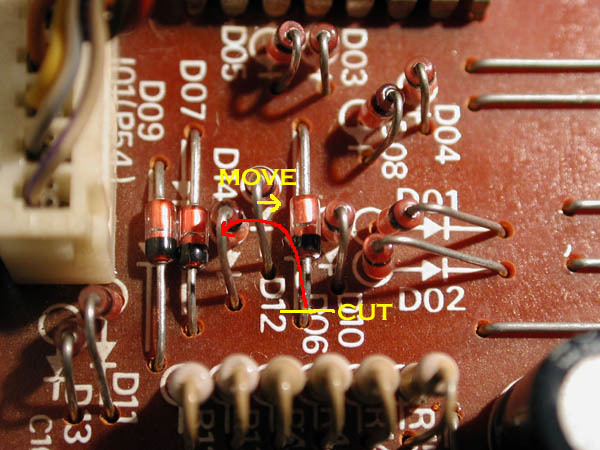 Then identify diode 06 which is the second diode to the right of D14. Cut its cathode lead as far to the front of the set as possible. Then take D12 (which is between 14 and 6) and bend it over 30 degrees to the right so that it is like the leaning tower of Pisa. Next take the cut lead of D6 and bring it behind and around D12 over to the cathode lead of D14 and solder them together. See Photos. Then turn the set on and check that the enunciator says "AM-W". That's it. Have fun and contact me if you have any problems. Cut and move as shown. Then solder. This is the completed mod.